Windermere is a wonderful and unique complex with grassy open spaces, views of the hillside, and a clubhouse that can be rented out for parties. This 2 bedroom, 2 and 1/2 bath unit is open and welcoming. NEW Carpet, New furnace & ductwork and new interior paint in every room was just added tooth's already great place to live. The living space is a valued space with a fireplace and large windows. The kitchen and dining spaces are filled with light from the large double doors from the outside patio space. This home has multi levels but with that comes privacy for each bedroom has itâs own full bath. 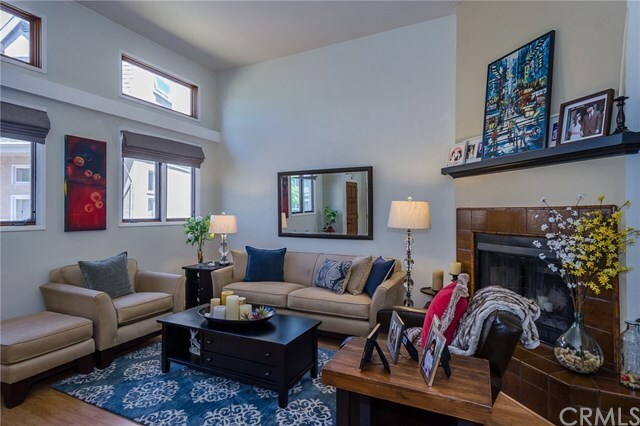 The close proximity to shopping and amenities such as Cal Poly, Laguna Golf Course, Laguna Hills Park, Laguna Shopping Center, Laguna Middle School, and shopping on Froom Ranch Way. This lovely Condo is a must see! Directions: From LOVR North make a Right on Oceanaire Dr. The Windermere complex is on your left, look for #26.